Poll: Should the number 13 be taken off car licence plates next year? The Government is considering taking the number 13 from the start of number plates because people consider it unlucky. Good idea? Bad idea? THE GOVERNMENT IS considering taking the number ’13′ from the front of car registration plates next year over fears that superstitious people may avoid buying new cars in 2013. 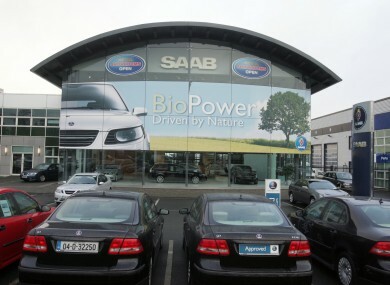 Lobby groups for car dealerships say car sales could be badly affected next year by people who want to avoid the so-called unlucky number, the Irish Independent reports today. Instead, there will be a different number for cars registered either in the first six months of 2013 or in the second six months. The idea was first put forward by TD Michael Healy-Rae on TheJournal.ie back in February. The Kerry TD said that a significant number of people will delay buying a new car by a year which will badly affect the motor industry. So what do you think? Should the government take the number 13 off car licence plates next year? Email “Poll: Should the number 13 be taken off car licence plates next year? ”. Feedback on “Poll: Should the number 13 be taken off car licence plates next year? ”.